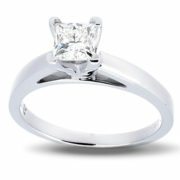 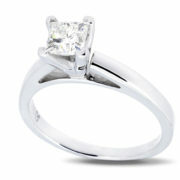 Leo Diamond® 3/4 Princess Cut Diamond Engagement ring. 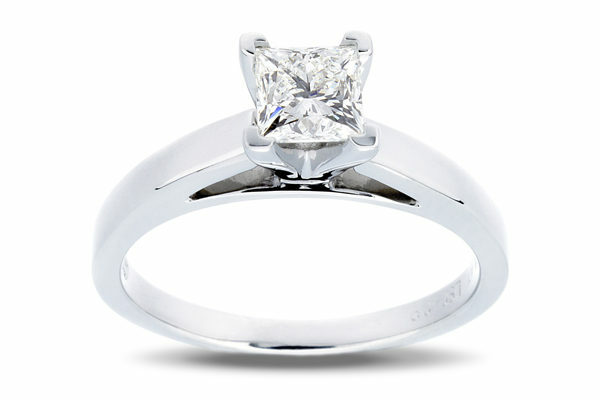 The diamond is graded at (I) Near Colorless and VS1 (Very Slight Inclusions) by GSI (Gemological Science International) and comes with certification. 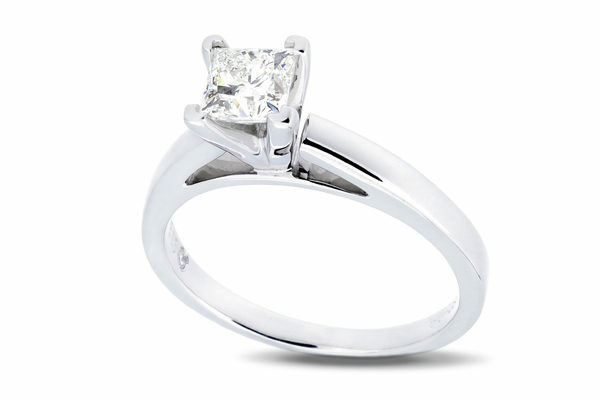 Leo Schachter ® cut diamonds are sought after for their premium brilliance, color light, and scintillation as measured by their patented Gemex Light Performance report. 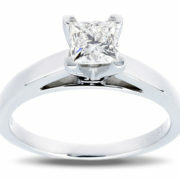 The ring also comes with this report. 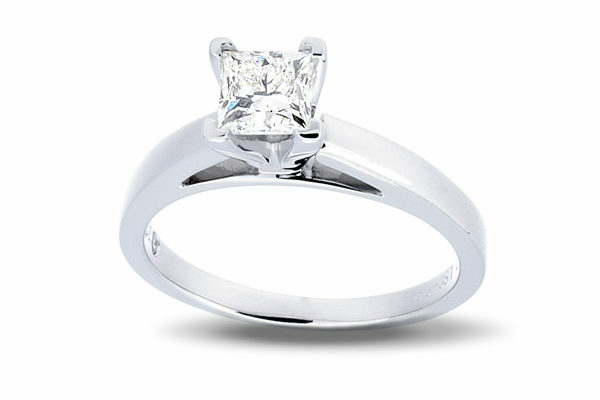 The diamond is sent into a platinum head component and is made in 14 karat white gold.